I’m so excited to be part of this evening of movies, music, and magic. This is a great annual event --but 90 years old is quite impressive! 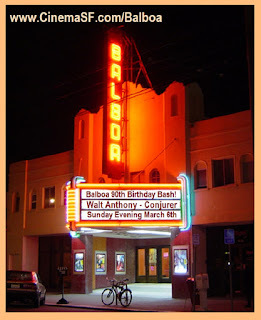 You should get to know the Balboa Theatre as it's a great place to bask in vintage and current films. So much to see and do! The Bash will be packed so arrive early. 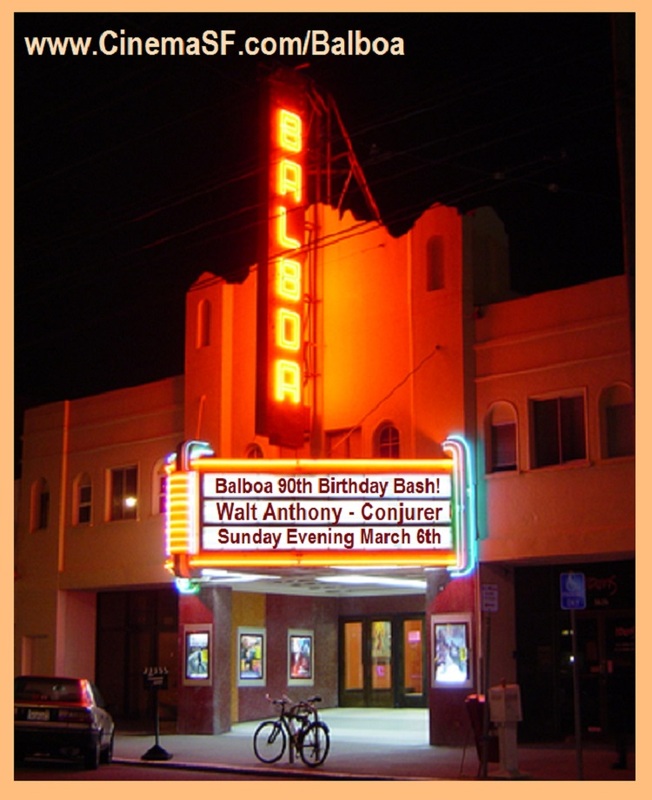 Conjurer Walt Anthony at Balboa Theatre 90th Birthday Celebration! 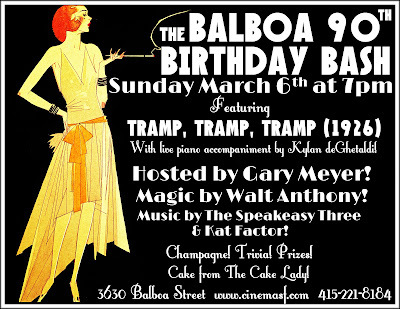 I’ve been invited to perform at San Francisco’s historic Balboa Theatre’s 90th Birthday Bash! Sunday, March 6th, at 7:00pm. 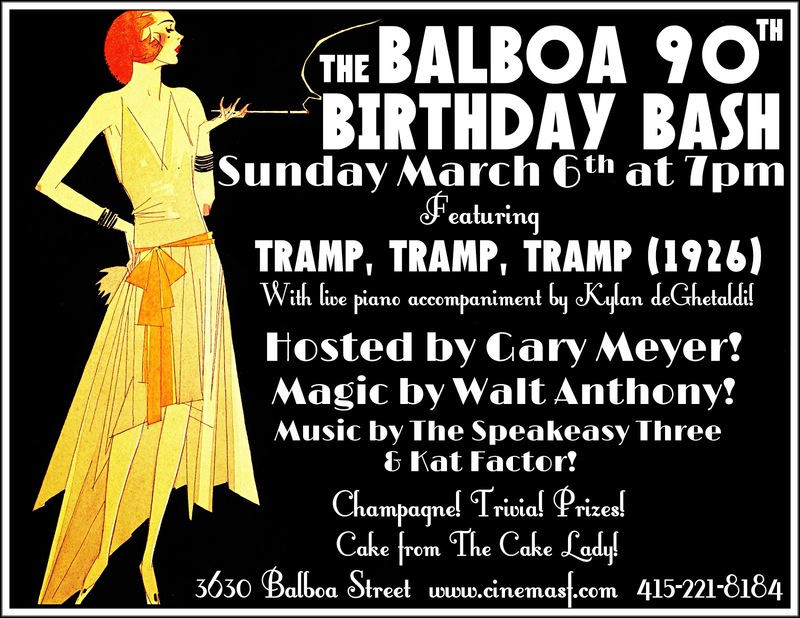 Please join the party and celebrate with talented performers and great vintage films. You’re welcome to dress like it’s 1926 too!